Here you can find career information from each participant council, what makes it a great place to work and current jobs across the state. Use the table below to search for job vacancies at each council, or search for jobs via our new LinkedIn hub. 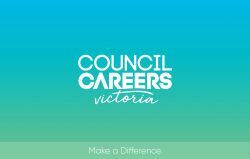 The Municipal Association of Victoria has partnered with LinkedIn to deliver the Council Careers Victoria hub, featuring current job vacancies, ads, and council career initiatives from across the state. The links below will take you straight to each council’s career webpage where you can look for current job vacancies.